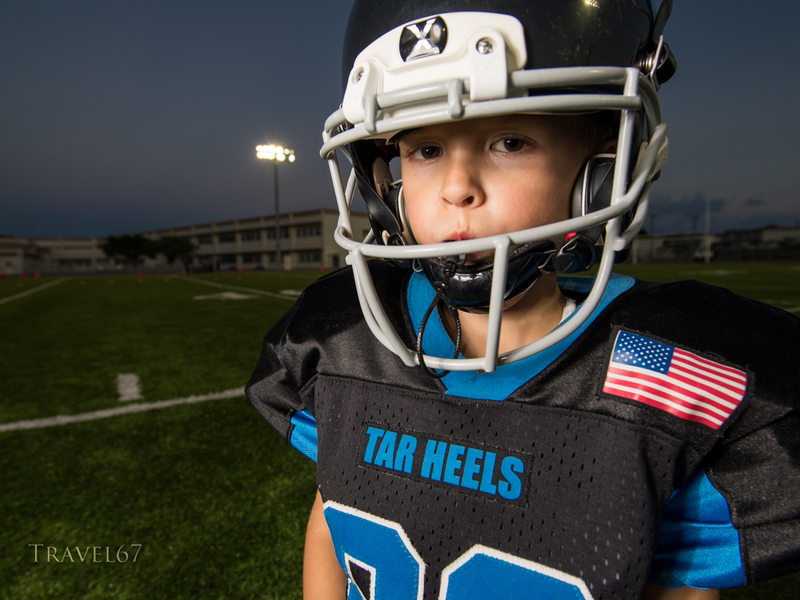 My friend Chris said his son was playing football on Friday night and invited me to come along and take a few pics. Jonathan is a Tiny Mite football player. 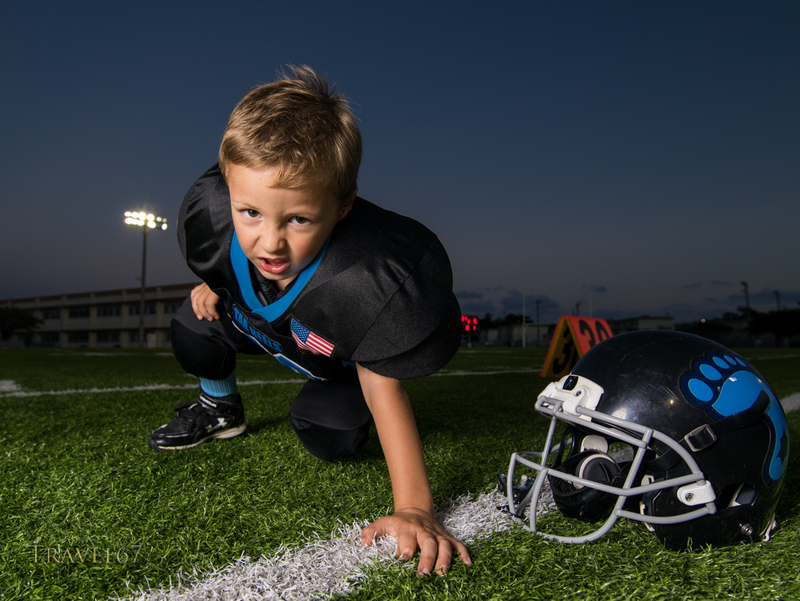 This is tackle football for kids aged 5 to 8. 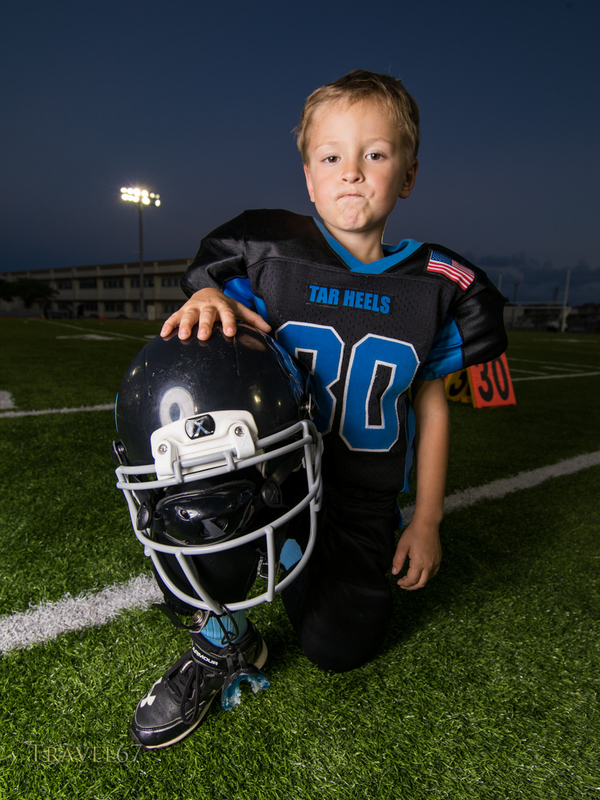 They put on their pads, helmets, and mouthguards then attempt to decimate the competition. We had a few minutes before the game so I took the Pentax 645Z, a 25mm wide angle, and the B1 strobe onto the edge of the field. A few quick shots while there was a little color still in the sky and we were done. I don’t know anything about American Football (I believe one team used a refrigerator as a player in the ’80’s). However, when I wanted Jonathan to give me his game face I simply said show me Hulk and got exactly what I wanted. Previous PostYotsudake Dancers, Ryukyu Dynasty Parade, Kokusai Street.